To hear her harrowing wail tear through the night sky was an omen of certain death. 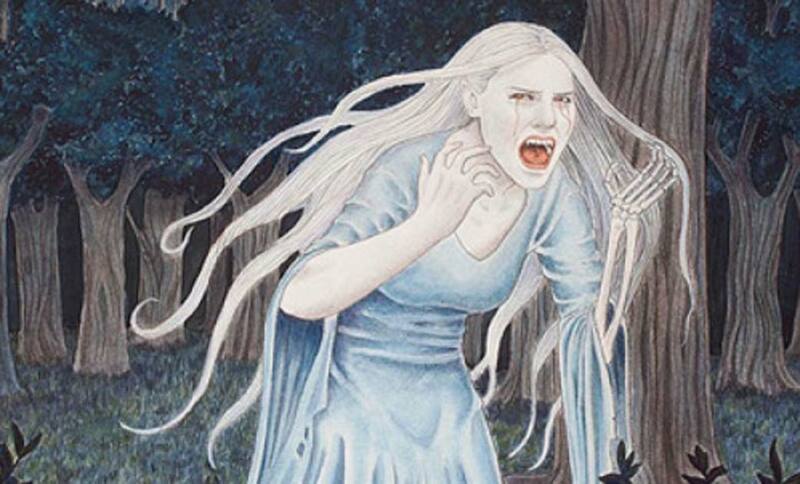 The cry of the banshee implied that someone in your family had died or was about to– or, that you were about to meet an untimely end. 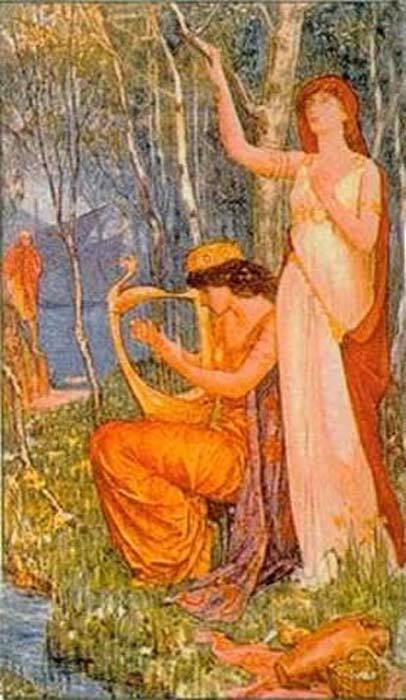 An old Irish myth, banshees are closely related to the people of the Aes Sídhe (spirits or faeries) and the Morrígan (the triple goddess of fate, particularly in war). Sometimes banshees have been depicted as old and haggard, but other times they are seen as young and beautiful. Usually, a banshee is said to travel alone; however, when a person of particular greatness dies, they will go in groups. But regardless of their appearance or numbers, banshees always mean death. In Gaelic lore, these harbingers of death are known as bean-sídhe, which simply means ‘fairy woman.’ According to tradition, a bean-sídhe is a “woman of the fairy, maybe an ancestral spirit, appointed to forewarn members of certain ancient Irish families of their time of death” (Ireland’s Eye, 2016). The families warned were those of the insular Celtic lands (meaning ones that had not been overrun by Norse, English, or Norman invaders). These families usually have an O’ or Mc/Mac prefix, such as O’Connor, O’Brien, O’Neil, McNeil, or McCnaimhíns. The origin of banshees is not entirely known, though it does seem to be an Irish creation. The most prominent theory suggests the legend originated from the cry of a barn owl. In ancient battles, the armies would start marching at dawn. Their movements would startle owls that were just settling down to sleep. The birds would then screech and fly away as the army approached. Their cry would alert the opposing army/ city defenses of the coming threat. Naturally, many would die in these confrontations, so the owl’s screeching cry came to be seen as a sign of death. In ancient Ireland and Scotland, mourning rites included a keening woman - known as a bean chaointe . Such women would wail and weep for the deceased. Most often this act would come as a natural expression of grief from family members. Yet, one could also hire a bean chaointe for added effect at funerals. Legends say that the Aes Sídhe would come and keen with unparalleled poignancy for truly noble Irish families. But, being spirits, the Sídhe could often tell right away when a family member had died. So, a bean-sídhe would begin the mourning rites of wailing - and the cry would drift over the Irish hills far faster than a message carrier could travel. 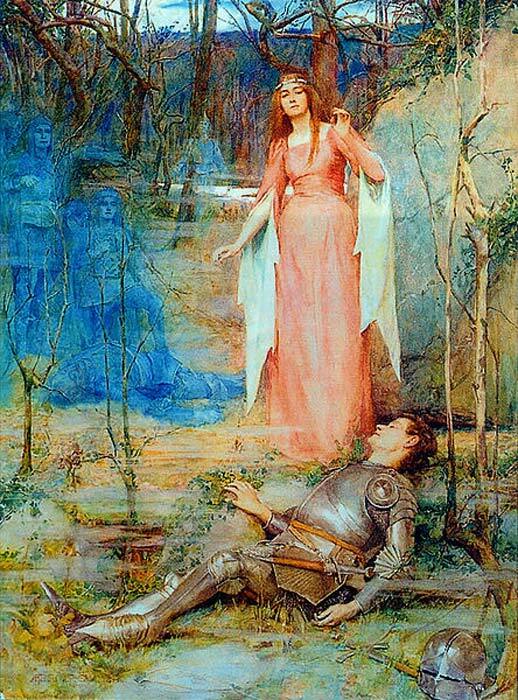 The wailing of the banshee was thus the first news of death in the family. If the deceased were a great or holy person, several banshees would appear together to sing their mournful laments in unison. Later on, the banshee would appear just before death to warn the family of its impending loss. However, most of the time, the first person to hear the banshee’s screech is the person who is about to die. While the intentions of the Sídhe were noble, banshees inevitably developed a bad reputation and became heavily cursed and feared. There is little evidence to suggest that banshees ever actually killed anyone, except maybe by fright. But being disembodied spirits with chilling cries, they became associated with ghosts and other devilry. Banshees soon had a reputation of being hate-filled creatures. -An old woman dressed in black with long grey hair covering her face with a veil. -An old woman with long white hair and red eyes, dressed in a green dress. -A beautiful woman wearing a shroud. -A beautiful woman with silver-white hair wearing a long shimmering silver dress, carrying, or using, a silver comb. -A headless woman naked from the waist up carrying a bowl of blood. Originally, “when they manifest themselves, Banshees appear as beautiful enchanting women that sing a sorrowful, haunting song which is filled with concern and love for their families” (Byrne, 2016). However, over time the legend became too good of a ghost story to pass up. Banshees came to be viewed as wicked hags who delighted in bringing news of death; their cries would chill a listener to the bone and could even make you go insane. The traditional concept of a family guardian lamenting kinfolks’ deaths faded away - much like the tradition of wailing at a funeral. Today, it is really only the ghostly, superstitious personality of the banshee that remains.